The Raptor Center: TRC's Education Barred Owl Has a Name! 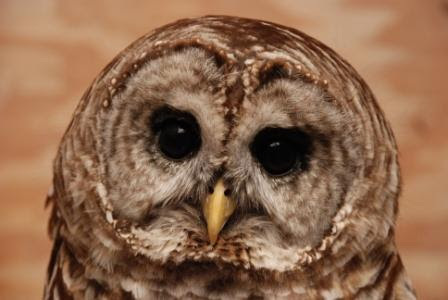 We are happy to announce that our education barred owl finally has a name! Our volunteer crews were invited to submit choices anonymously, and the winner is . . . Strix! This is a great way to begin discussions about the species, as the scientific name for barred owls is Strix varia. Please say hello the next time you stop in at TRC!